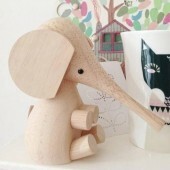 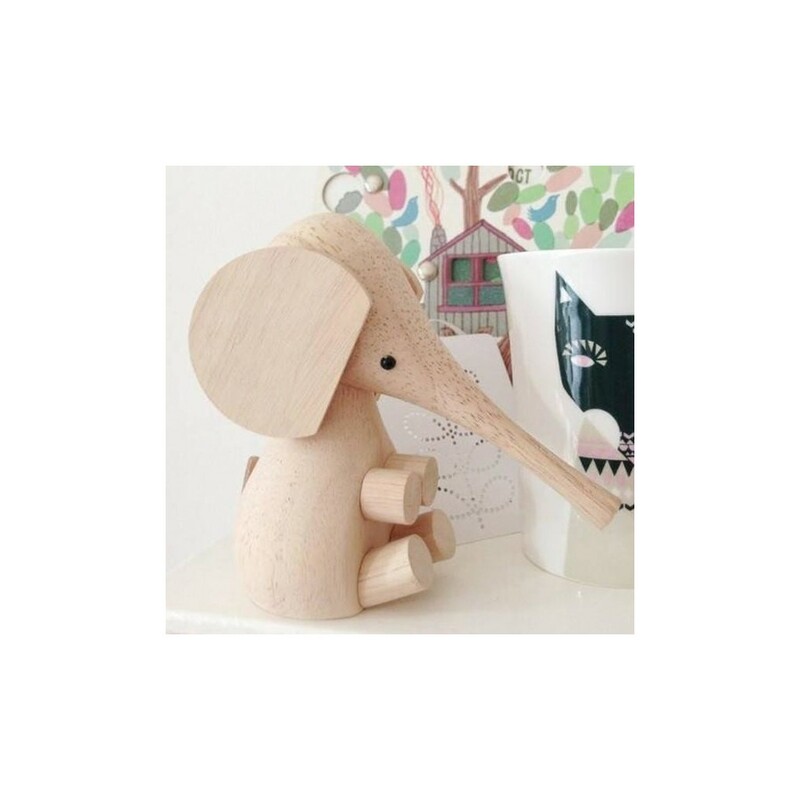 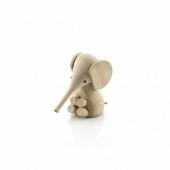 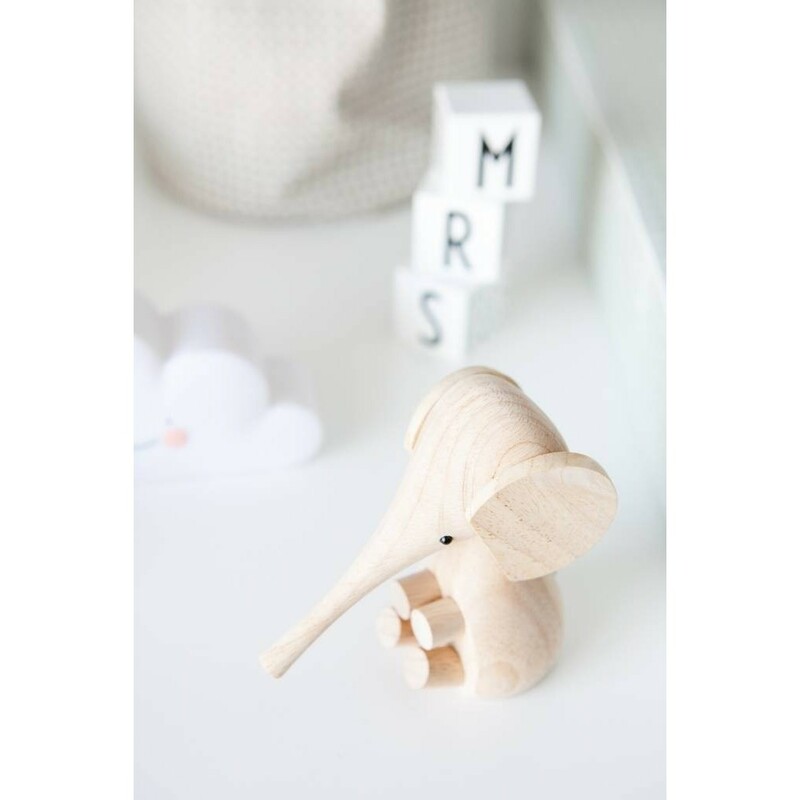 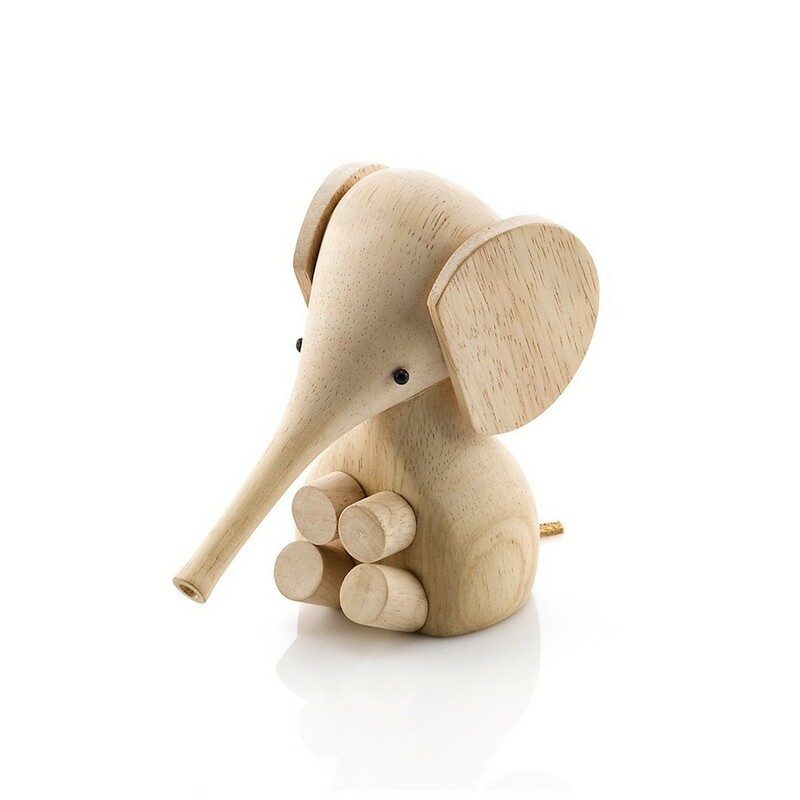 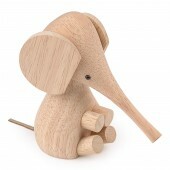 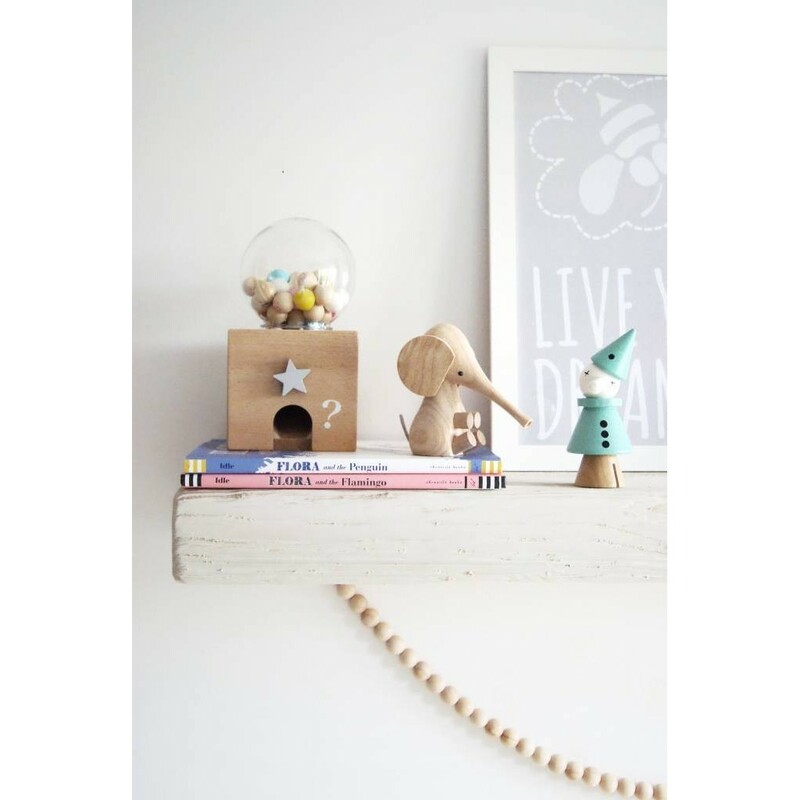 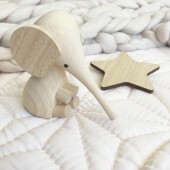 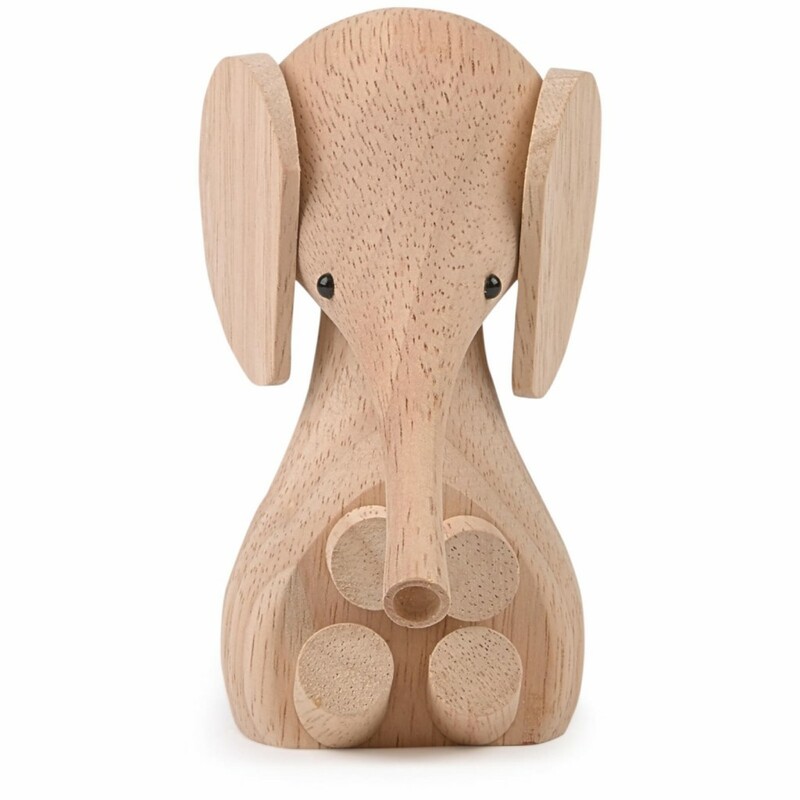 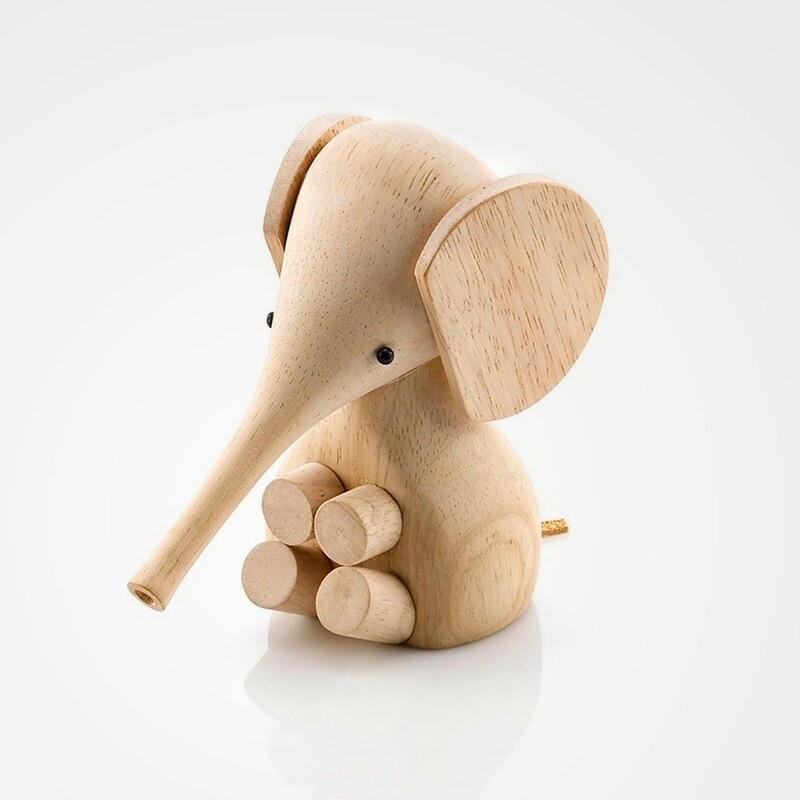 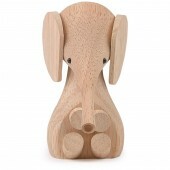 Słonik Elephant 11 cm Drzewo Kauczukowe. 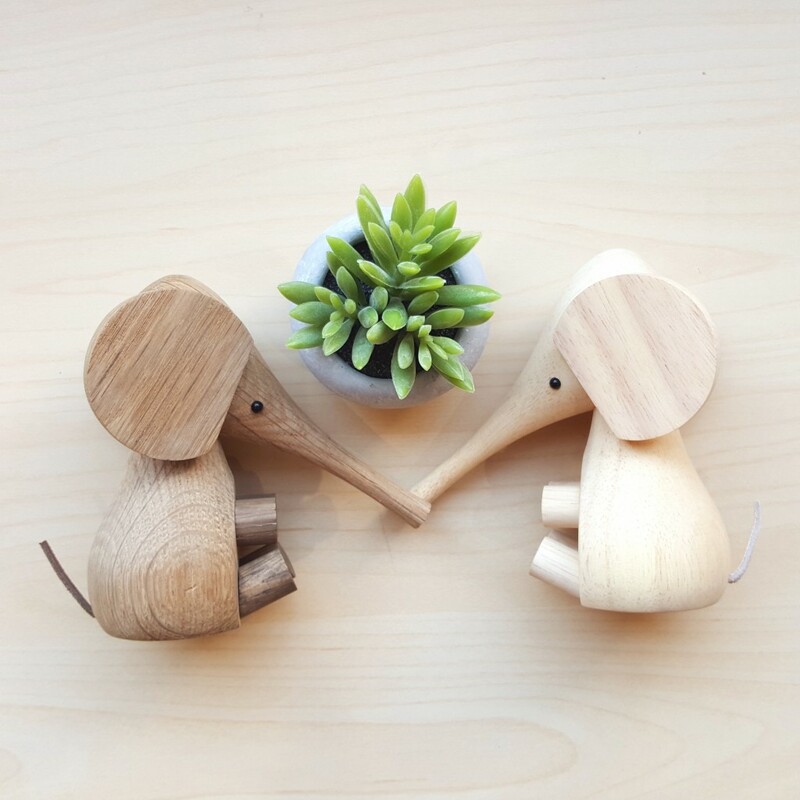 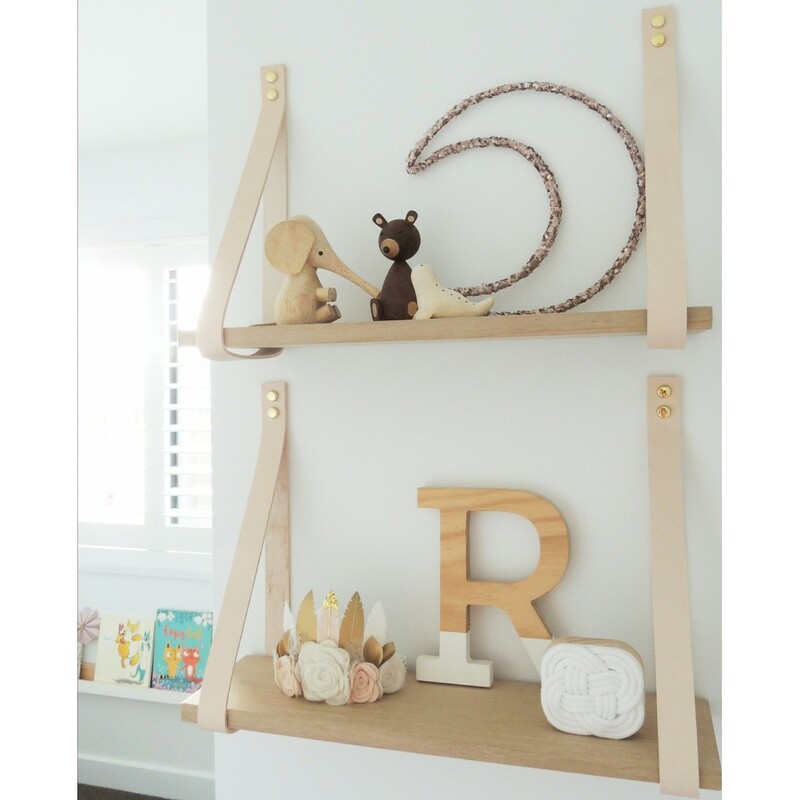 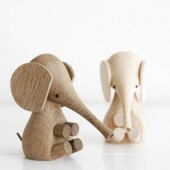 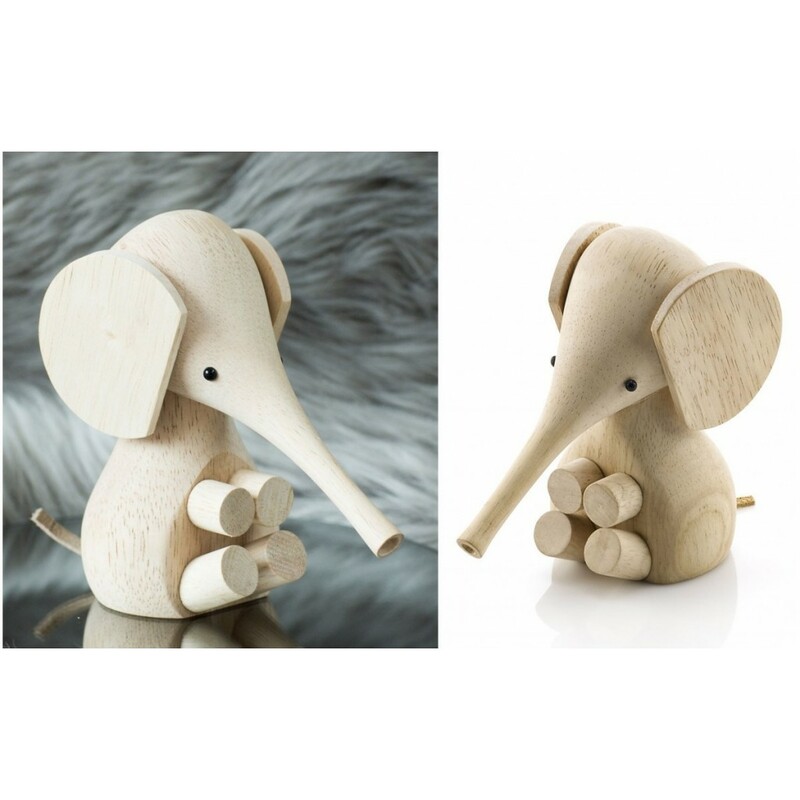 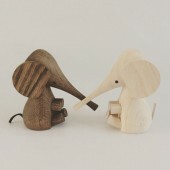 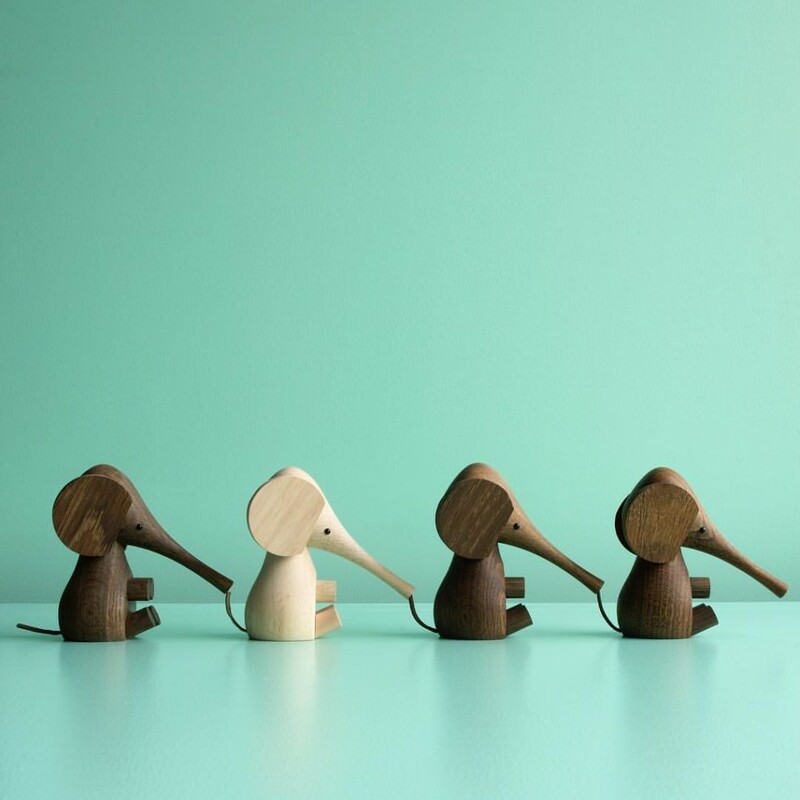 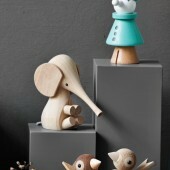 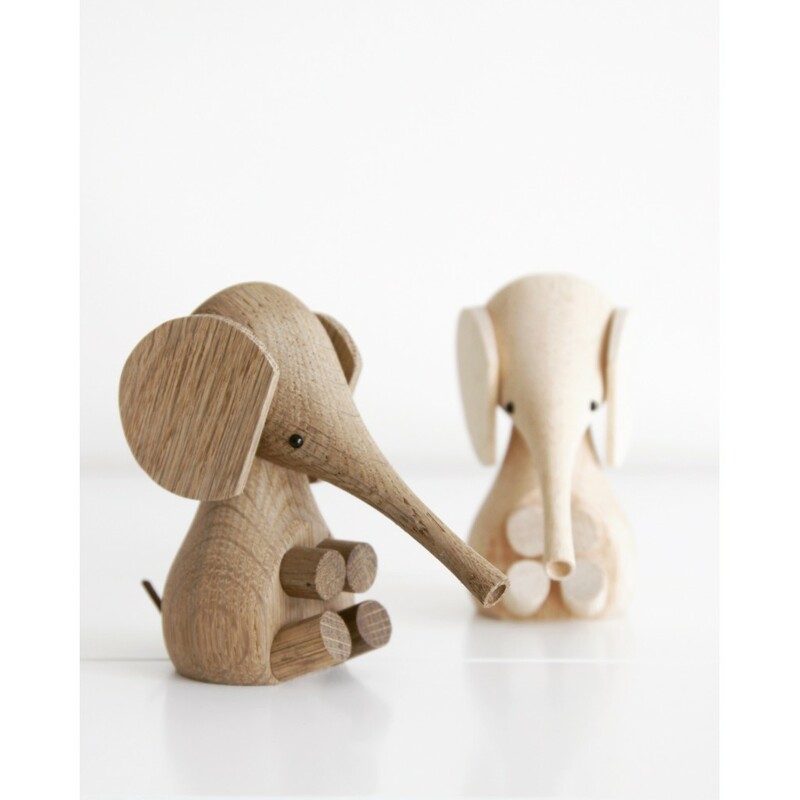 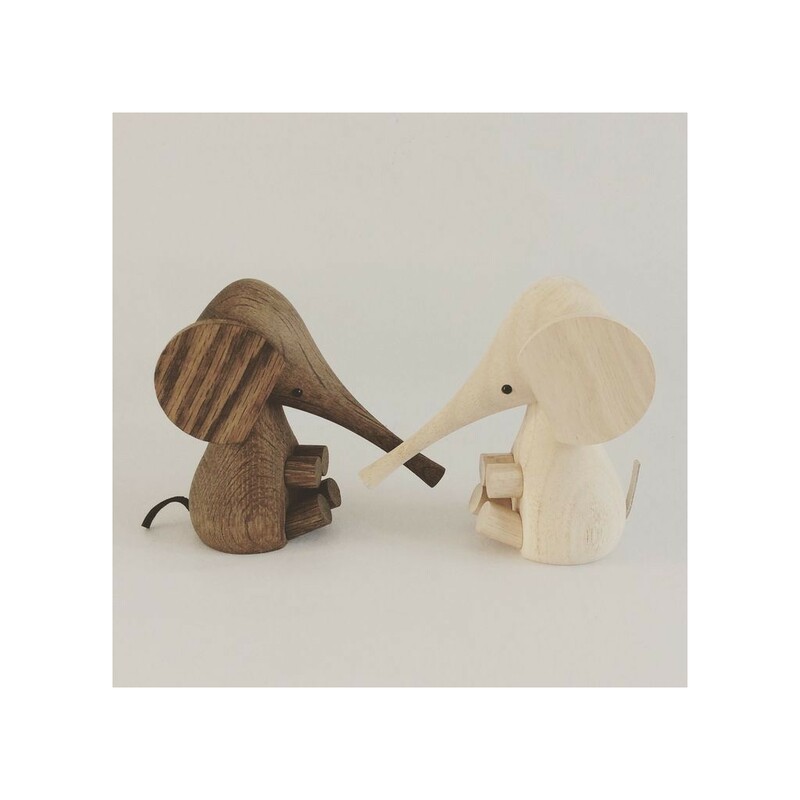 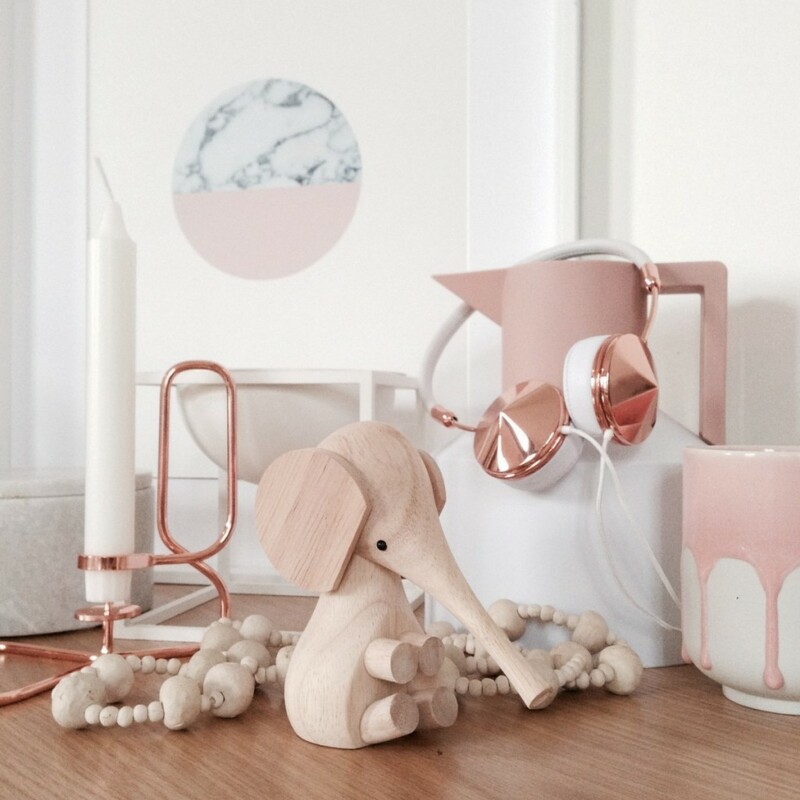 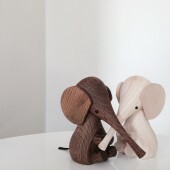 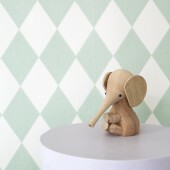 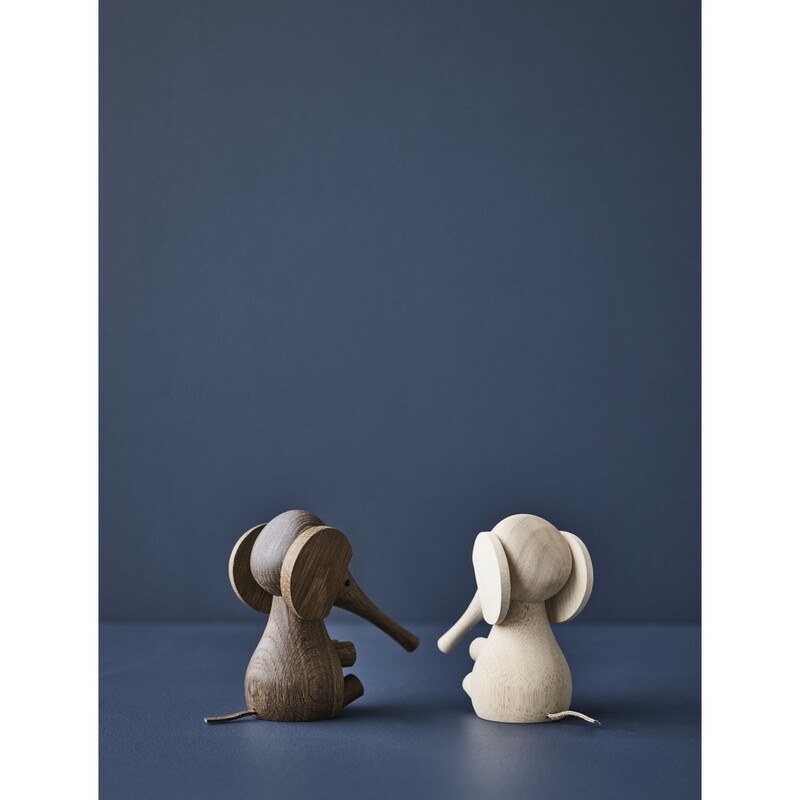 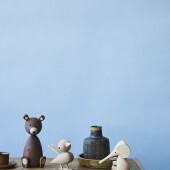 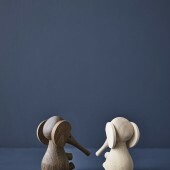 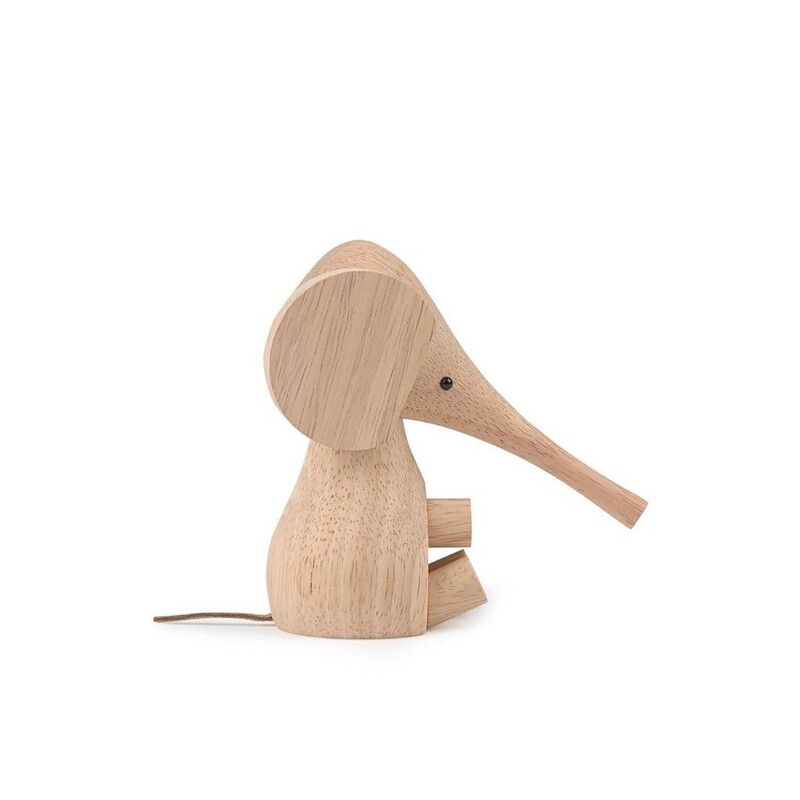 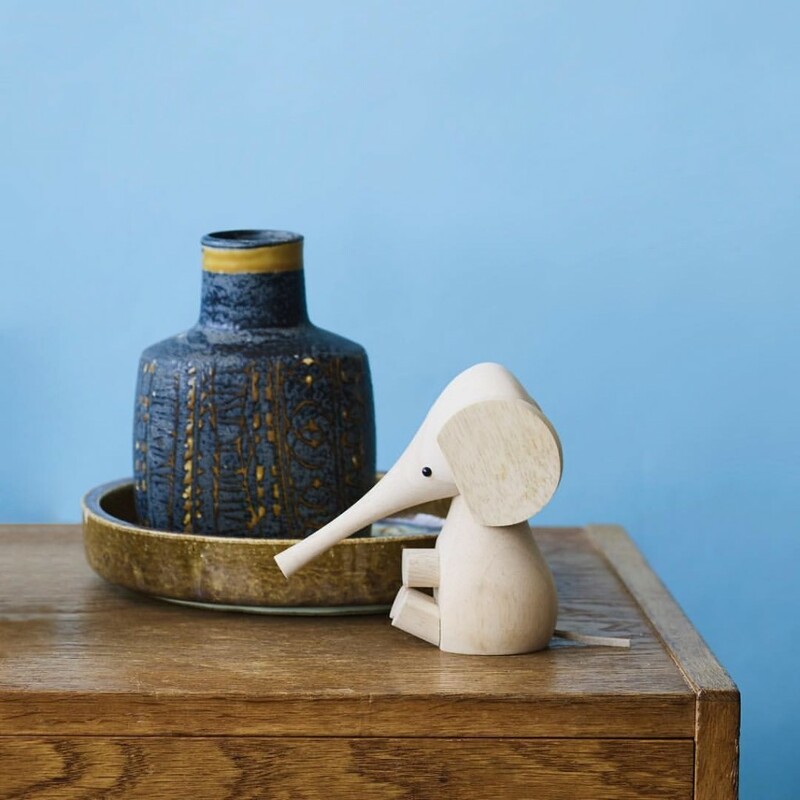 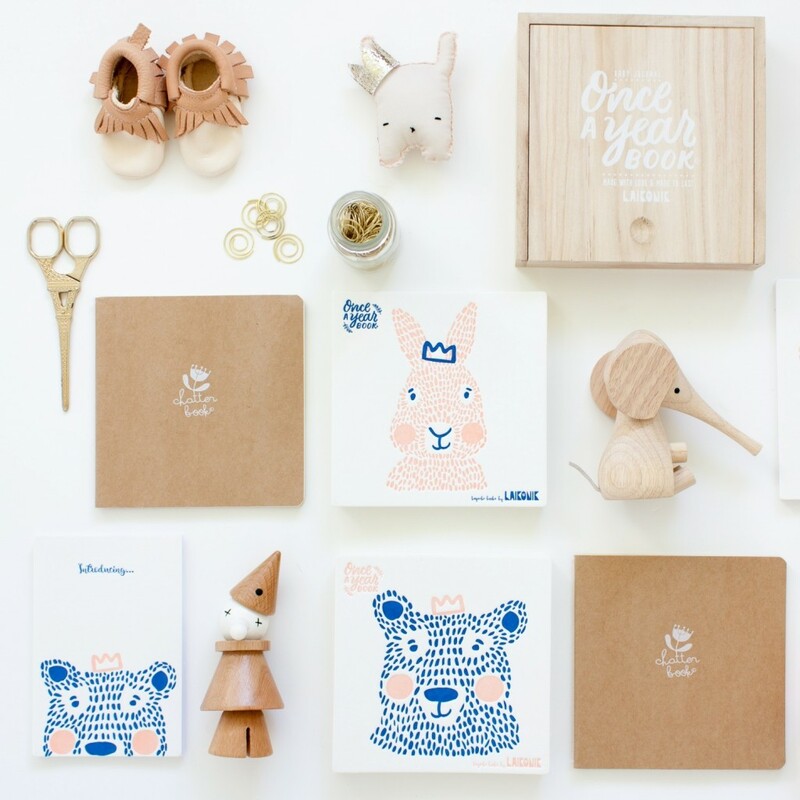 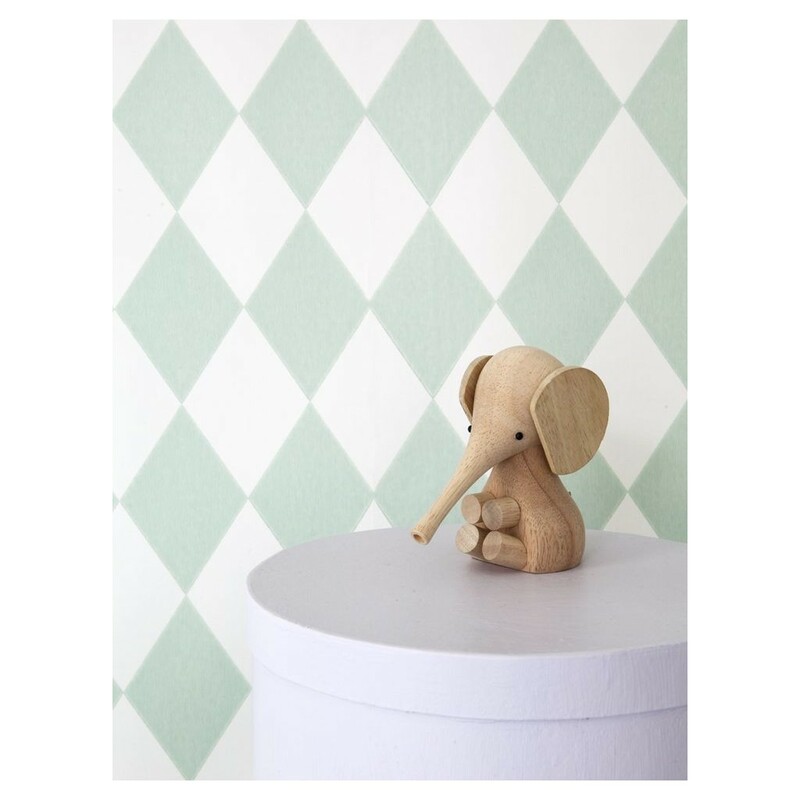 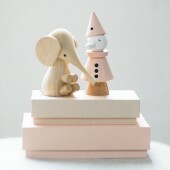 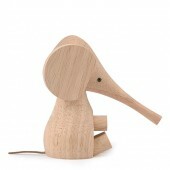 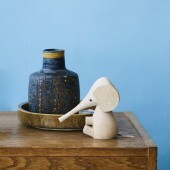 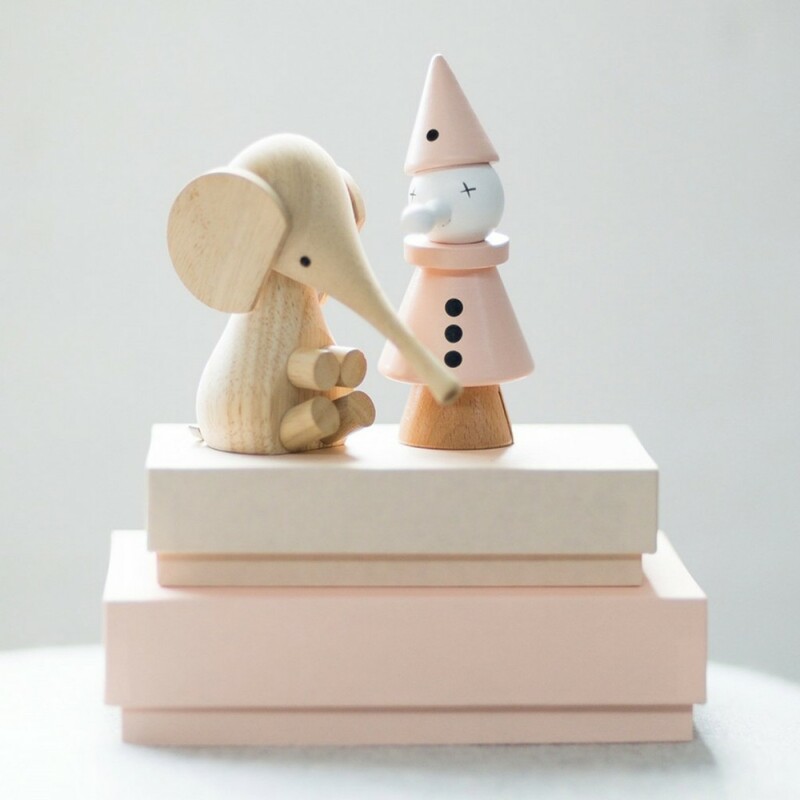 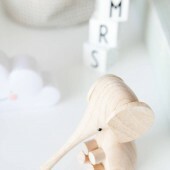 Gunnar Flørning and Danish illustrator Harry Vedøe designed the baby elephant in 1961. 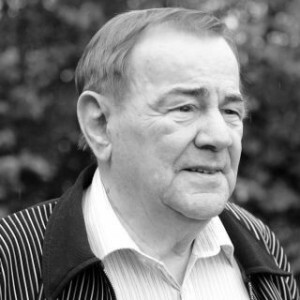 Harry Vedøe’s illustrations were popularly circulated in children’s books by well-known author Benny Andersen. 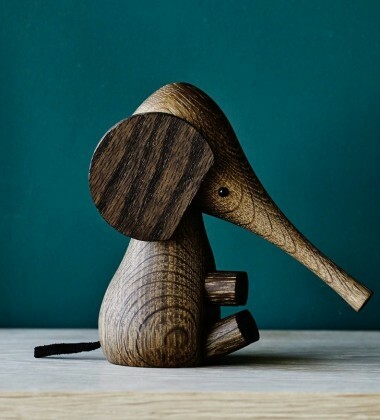 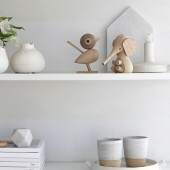 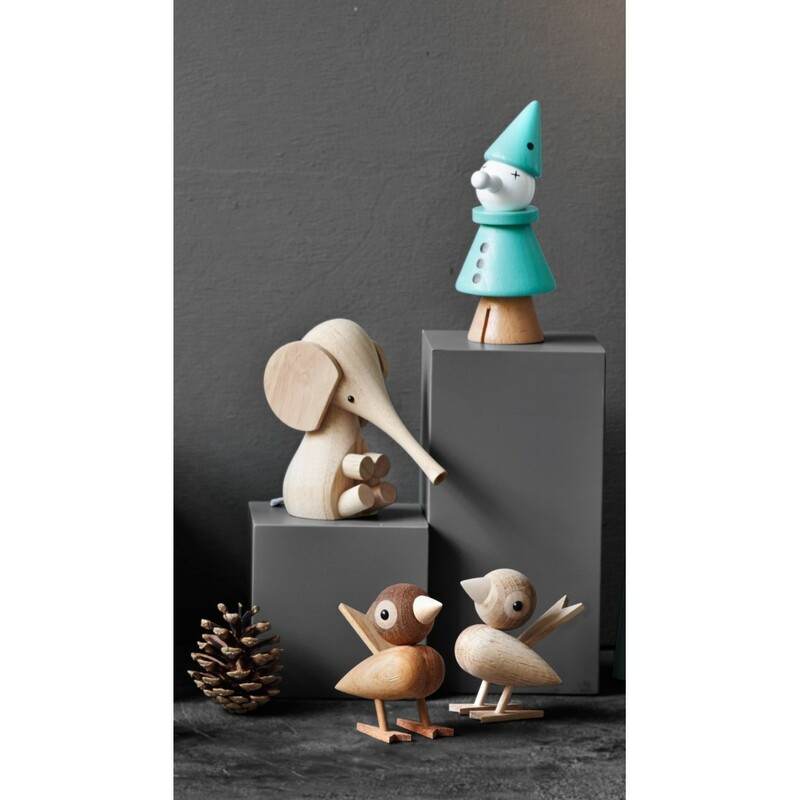 Gunnar Flørning (1932-2014) was one of Denmark’s most successful designers within wooden handicrafts. 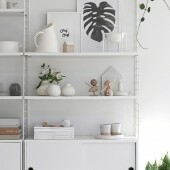 The history of Gunnar Flørnings popular designs date back to 1952 when he was enrolled in mandatory military service. 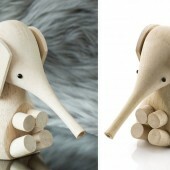 In order to pass the time, he and his comrade began carving objects out of old wooden fens posts.